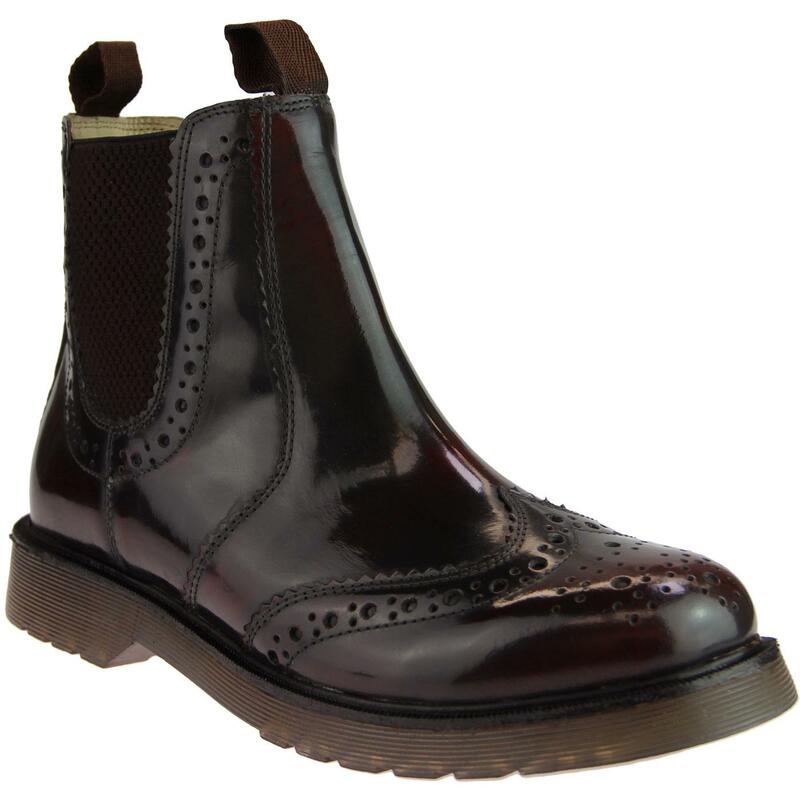 Men's Mod Revival style high shine brogue Chelsea boots in vintage burnished oxblood leather. Featuring retro elasticated side gussets and foothole loops to assist with easing the boots on and off. Ivy League inspired crimped wingtip detail and retro punched broguing add texture to the upper of these round toe Chelsea Boots. 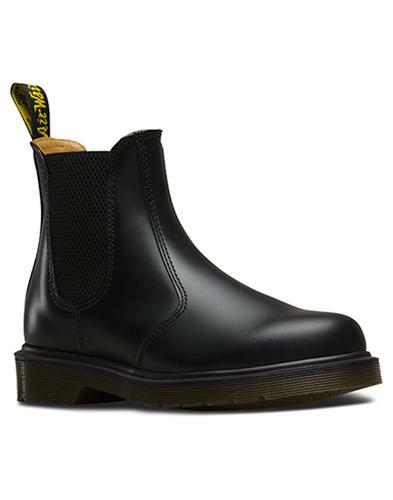 The boots are finished with a lightweight translucent sole unit for a nice casual indie edge. 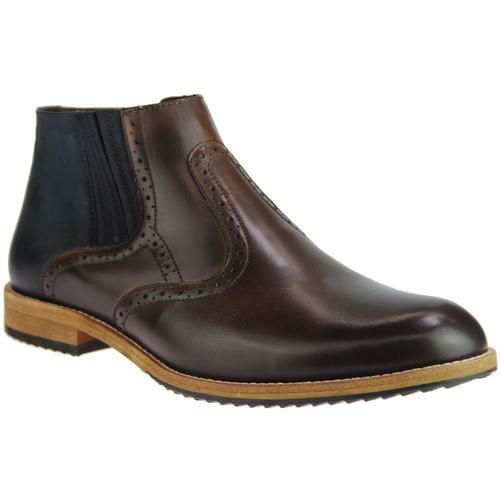 Stylish men's mod Dealer Boots that will add a distinctive edge to all manner of attire. 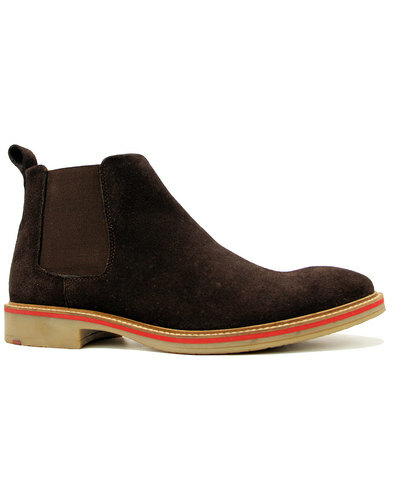 Men's mod brogue Chelsea Boots in oxblood. Pull tabs to foot hole. 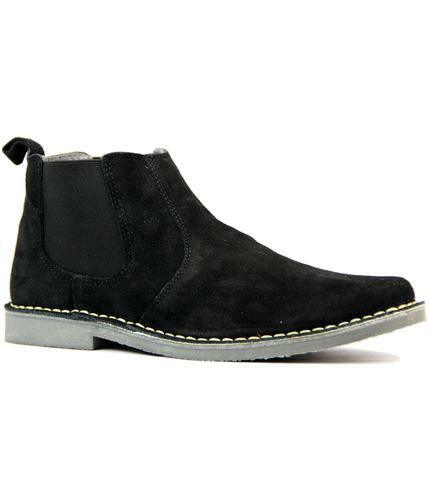 SKU: M757BD Brogue Chelsea Boots. Composition: Leather upper, leather/textile inner, other outsole.